A nice distraction for fishing experience…. After speaking to a fisherman he will give you 10 competition tickets which you can use per week. 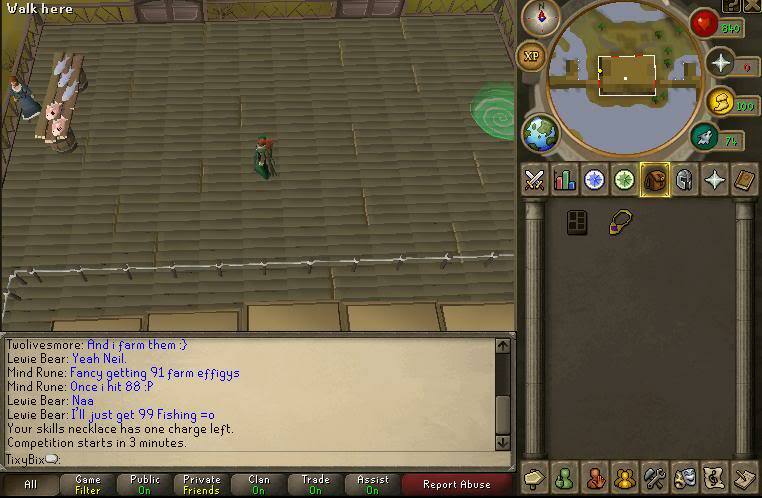 Best practice to use a skills necklace to teleport to the fishing guild. 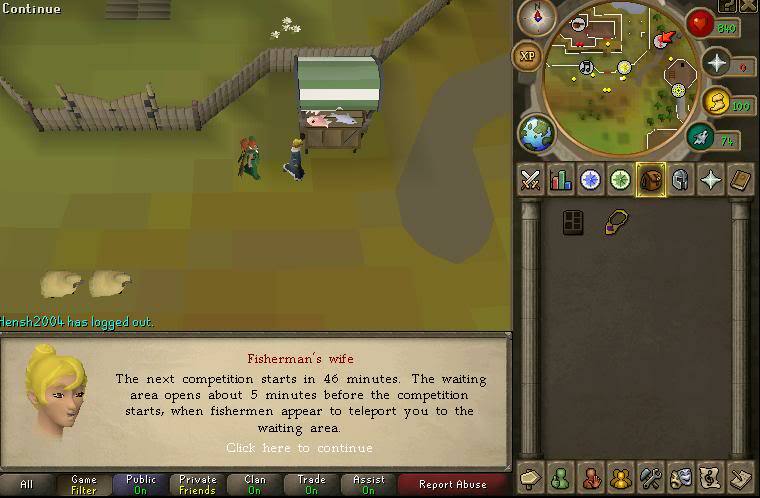 Until you win your first tackle box which will give you the time of the next game you can ask the fisherman’s wife when the next competition will take place. 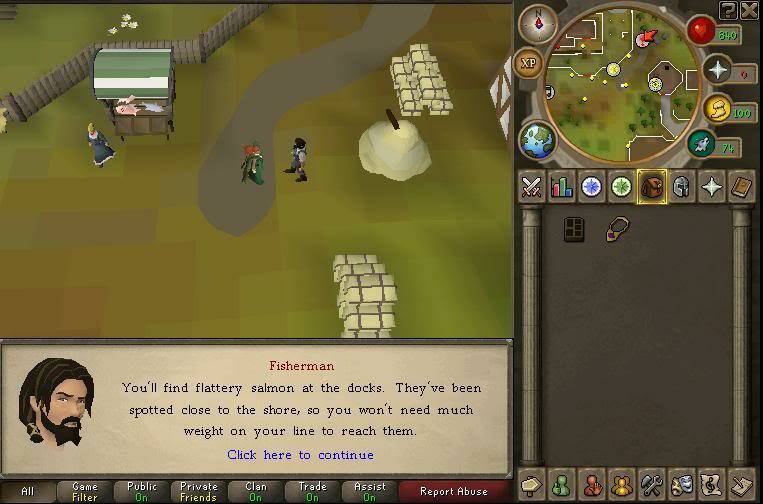 The fisherman will not be around until 5 minutes before the competition starts (hes probably down the pub or something). Frankly I can’t be arsed with the clues, there’s enough time to work it out without them I managed to cut and paste all the screenshots in the same time but why not – use them if you want. So here you are in the lobby. 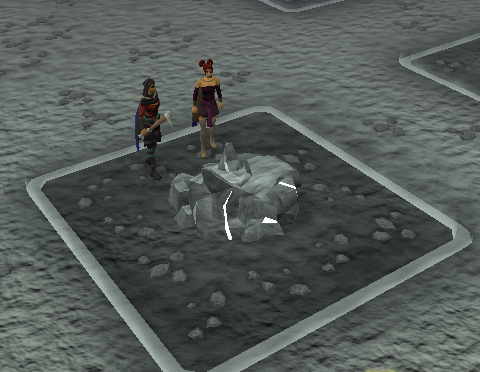 The time spent here is normally used if other players show up to decide whether you want to work as a team or go solo. The indication that the game is about to start is when the word loading appears in the left hand top of the screen – to get ahead of the competition click when you see that coming. The game does count you down by the minute but those extra precious seconds are useful! There are two main strategies to getting points in this game – finding the six 100% combinations of fishing tackle and getting the heaviest fishing haul that you can in 15 minutes. People who are going for exp only will just find the heaviest fish and not move around but may try and steal your combinations to maximise at the last minute. Don’t be bothering yourself with this nubberlight. There are four areas – the docks, the river, the lake and the beach. You can do them in any order with six fish to find – so two areas house two fish. This is totally random. I always start at the docks to the east. As near as I can to the beginning of the jetty and immediately hook up this combination: worms, standard and one small weight. Lucky me I got 33% straight away – I must have got something right – the question will be what? There is a system to this and it is infallible. We have to get 100% combination. It is sheer luck if you get near it on first hit. 33% for hook, 33% for the bait and 33% for the weight. Yes I know that adds up to 99% but stop being so flipping pedantic. I always start with the hook – this is easiest. There are six hooks and they are in pairs. Standard and Slim, Large and Double and Bone and Hook. You need to be watching this line very carefully at this point. Watch that percentage its’ going to do one of three things, go up, go down or stay the same. If it goes up you are on a winner and you could switch for other in pairing to see if it goes up again, if it goes down then the last one you had was better go back to it and if it stays the same then you need to move to the last set of three. By power of deduction, you should find the optimum hook. Look I didn’t make this game – heaven knows whey 1 small and 4 large don’t make 5 but who are we to question eh? This is the strict order that you place the weights on your rod. You need to click and wait for the change to happen. I think it’s safe to say that if you have only 1 small weight on and it’s only at 33% you can probably jump a couple of weights. You are looking to increase your hook percentage by a further 33%. When you find the right weight we are on to the last step, which is the bait. The bait which although has 8 options are categorised by shape and colour. 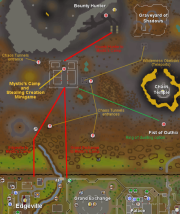 If you are closing in on the 100% only move one step away to the bait you are using – red worm to maggots (brown worm) or to shrimp – (red) if you are way off then you will need to jump to two away at least to save time so if you are red worm go the distance to brown cricket or the other way to crayfish. Watch the fish that you are catching as you are switching as this is when you ideally need to find the double fish in an area. Note the change in fish and why it changed but refocus on the fish you are doing. When you have got that one open up the table and put the settings to the other fish to start finding that one. The heaviest fish is 199 – this fish will always have a 9 at the end of its number. In this game it was the herring. 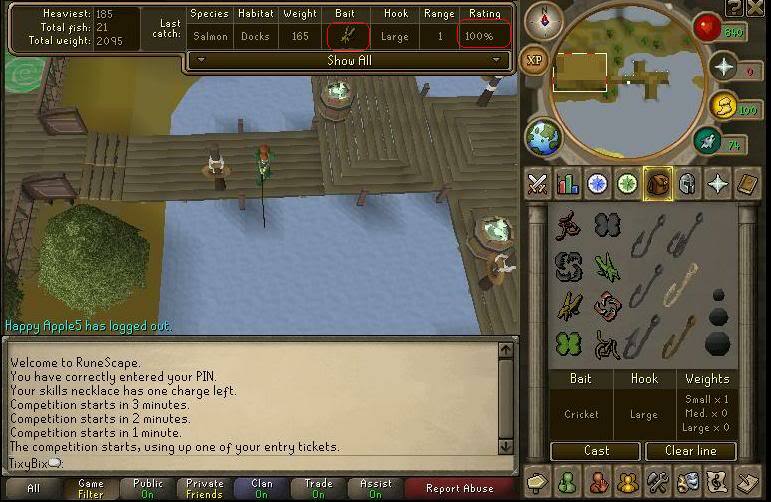 If I have found this fish I normally catch a few while I am there in hope of snagging the 199 as this helps your exp. If I don’t catch it within about 6 fish I move on and come back at the end. If you want weight over medals just keep fishing at the 199 to try and get the heaviest haul you can. 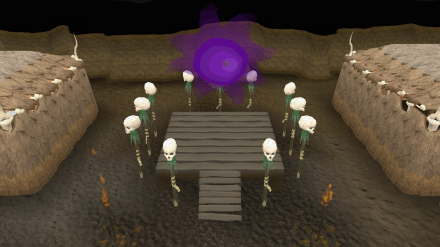 At the end of the 15 minutes you are teleported to the lobby – if you are in the first five you get to stand on the podium – if you get first place you can stand there making winning style emotes but you will find yourself on your own pretty quick as people tend to jump off and fly out of the portal. 6. 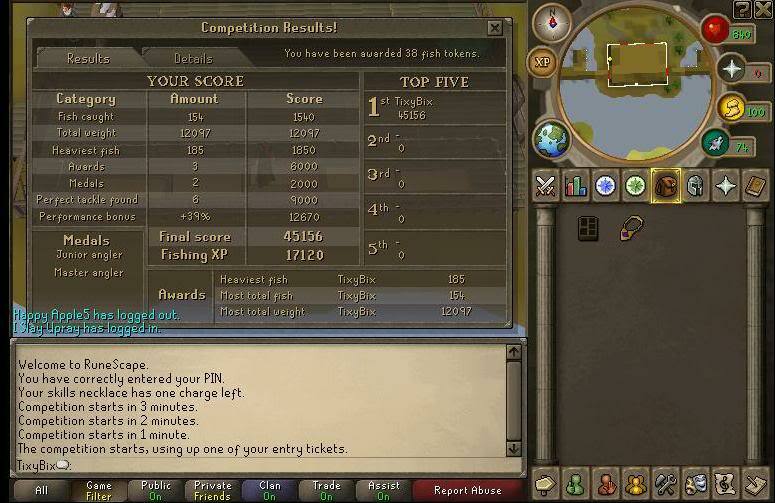 Bonus for Performance – I got 39% and challenge Jagex to tell me why. For every four fish you caught you will get a fishing token these can be used to trade in with the fisherman’s wife for either fish or a tackle box which take a combination of medals and tokens to get. 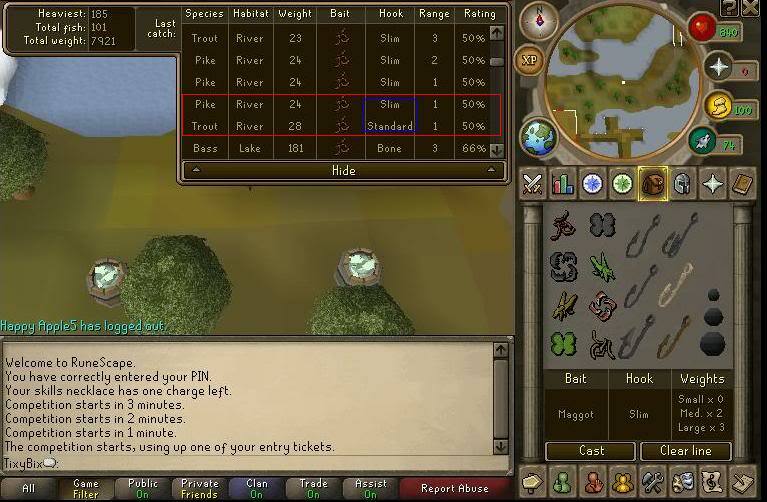 The last box gives you five fishing tools slots 3 bait slots which can hold 1000 bait and two slots for gloves. 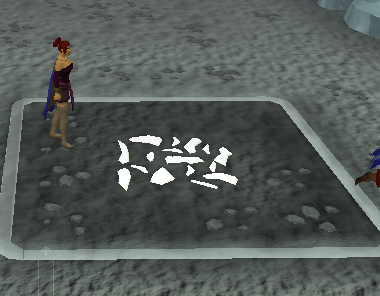 This will give you more bank space but I think its safe to say that it is not applauded as one of the greater rewards in the world of Runescape. There is probably more to add to make this guide the most informative but you weren’t planning on going on mastermind as a specialised topic were you? The main thing is this – its fun, it gives me about 68k an hour fishing exp and 170k fishing exp a week with my ten tokens in 2 and a half hours and is a welcome break from flogging the monk fish to death. 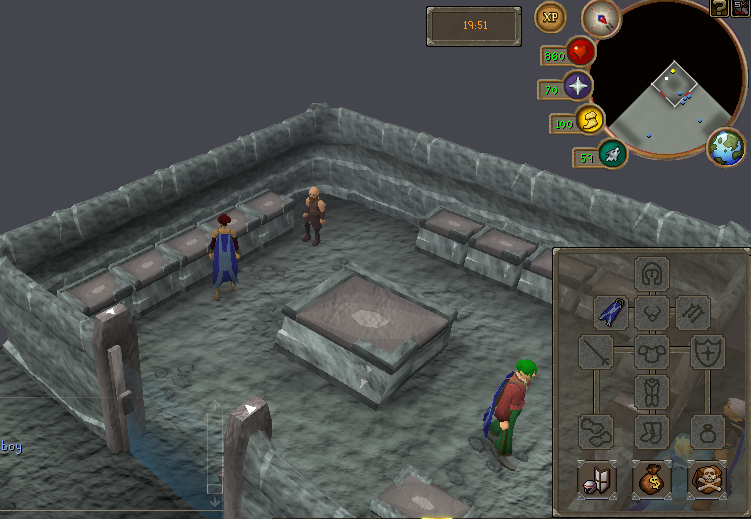 Castle wars is a Runescape spin on the well known game Capture The Flag. The rules of the game are similar; to score a point you must capture the opponent’s flag in their base, and take it to your own base. 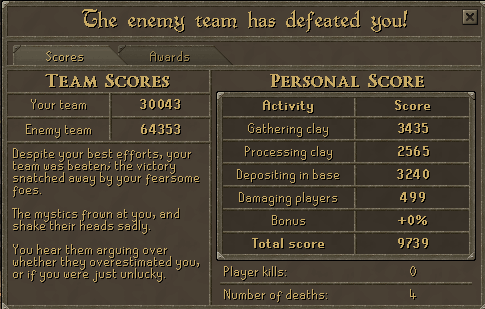 The team with the most points at the end of the 20 minute long game wins. Simple though it is, there are various tactics and hints that can help you win for your team. I will address these in my guide. 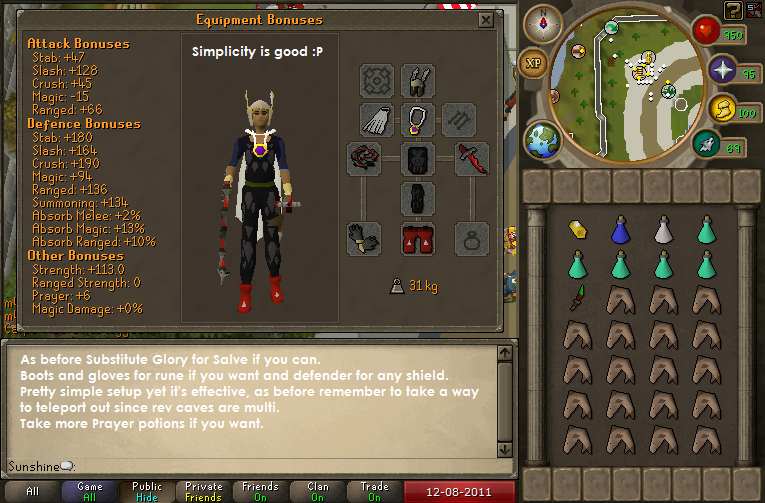 As far as equipment is concerned, I always try to bring at least 2 styles of combat when playing Castle Wars, if not 3. 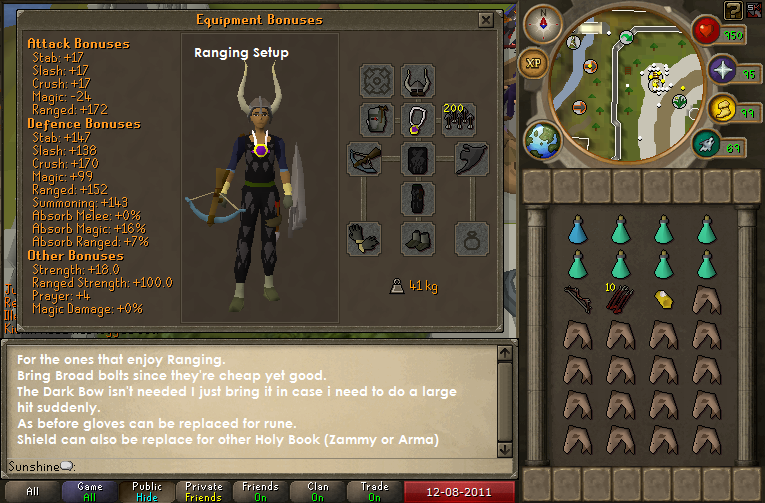 In Castle Wars capes and helms, and food are not allowed so that is why they are not present in my equipment guide. 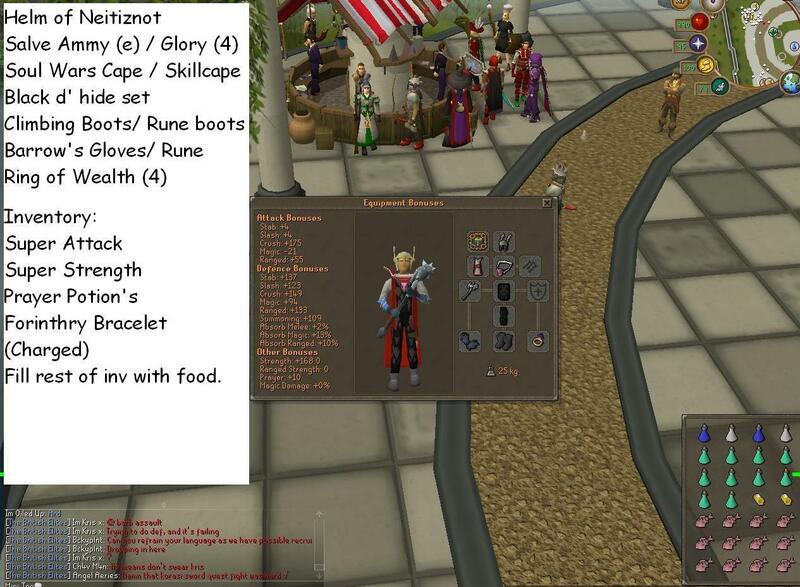 I’m going to assume that you are able to afford and wear rune and above items, if you aren’t then just wear the corresponding lower levelled items. I’ll also assume you can’t afford the new ancient armours (Torva/Pernix/Virtus), if you can then you won’t need this guide! 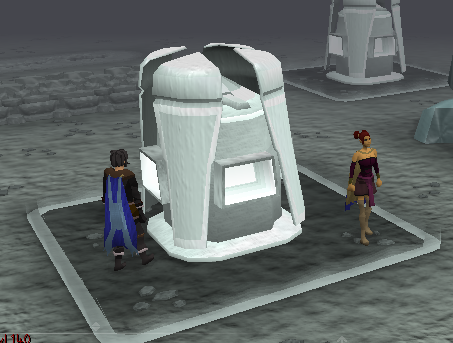 Top tip – bring Ava’s device from animal magnetism to Lanthus to receive the effects of Ava’s device during castle wars. As extra items I like to bring a spec weapon, a ranging body for magic protection, a bow if you are binded, and a shield for tanking. In the inventory I like to bring some melee platelegs in case I am outnumbered by attackers, and I need to boost my defence, and I bring a spec weapon, potions and a familiar. You can also bring a few enchanted bolts to in your inventory to unleash devastating special attacks. If you bring a spec weapon with different ammo you will also need that type of ammo in your inventory. As a mage I always bring melee armour, because magic robes are so weak. I also bring a melee weapon, because when in melee armour it is very difficult to not splash with magic attacks. 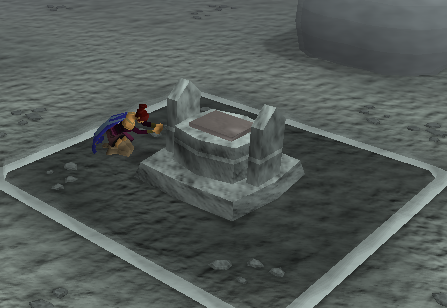 As I stated before, it is foolish to not bring 2 or more types of combat to castle wars, due to enemies using protection prayers and the variety of circumstances you will face. For example, ancient mages with ice spells are highly sought after to freeze opponents, most notably enemies holding a flag. Ancient mages are also capable of producing the best damage per second, however they have the most expensive supply cost. Rangers are very useful for killing mages and flag holders, and warriors are good all round players, their high defence armour gives them good resistance, and their weapons are very powerful against nearby rangers and mages. 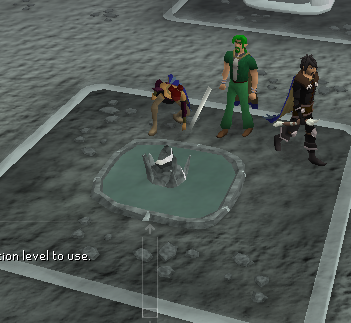 Because of the use of all 3 types of combat in castle wars, I always bring 3 types of combat. Here is a typical setup I might use. The equipment used is as stated in each individual class, but beware that you will not have enough space to bring boots/gloves/amulet/rings for each class when you hybrid, so you have to compromise. 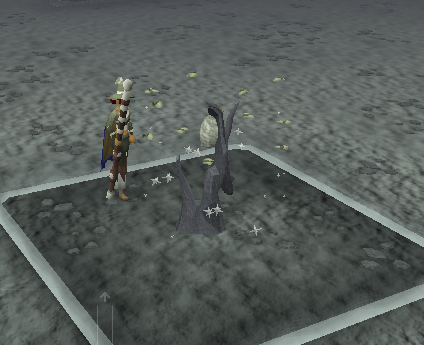 When using magic, it is best to always use magic boots and gloves, because the other types of boots and gloves have high negative bonuses to magic, whereas magic boots and gloves give no negative bonuses to the other classes. 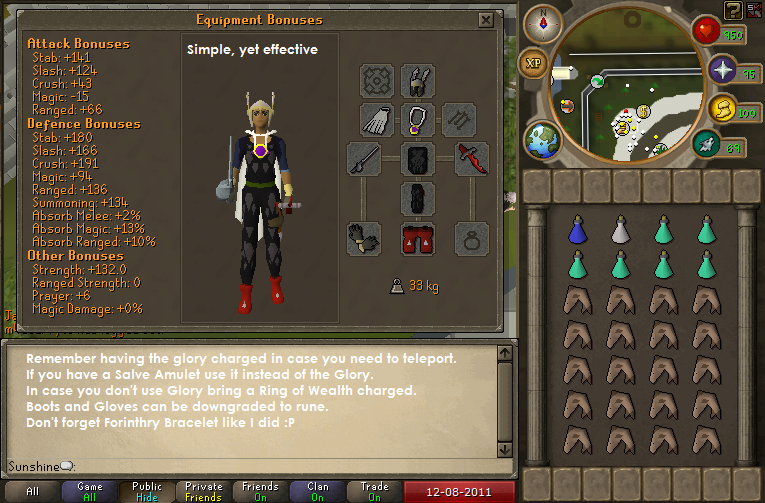 RFD gloves provide high bonuses to all classes, so for hybriding purposes, I strongly recommend them. 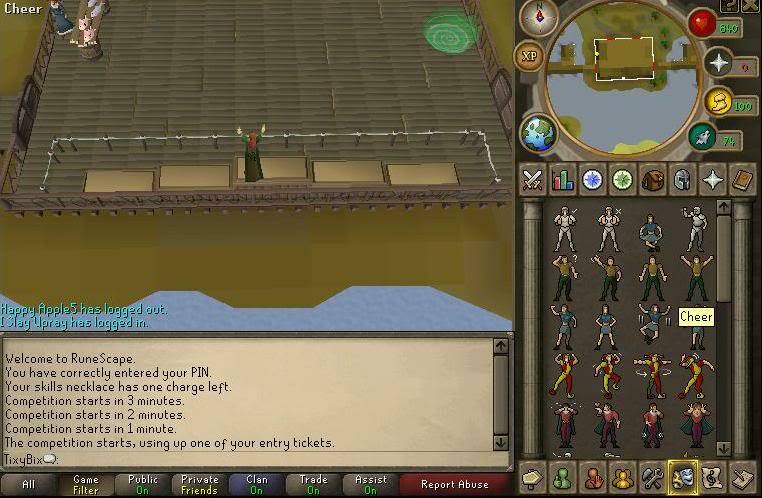 When you visit Castle Wars, you can enter the waiting lobby by choosing one of 3 portals, the red portal will put you on the zamorak team, the blue portal will put you on the saradomin team, and the green portal will put you on the team with the least players. Personally I would not recommend the green portal, as it increases the chance of you losing the game, so unless rewards aren’t important to you, you should go to the red and blue portals, scout each one for the best players, and join the team with the highest levelled players. This can improve your chances of winning. When you enter a lobby, you will be presented by a timer which tells you how long you have to wait until the next game. As there are 5 minutes between consecutive games, you will see most of the players run in when the timer reaches 5 minutes. If you wear certain god items, you will be transformed into a type of animal whilst you are in the lobby. 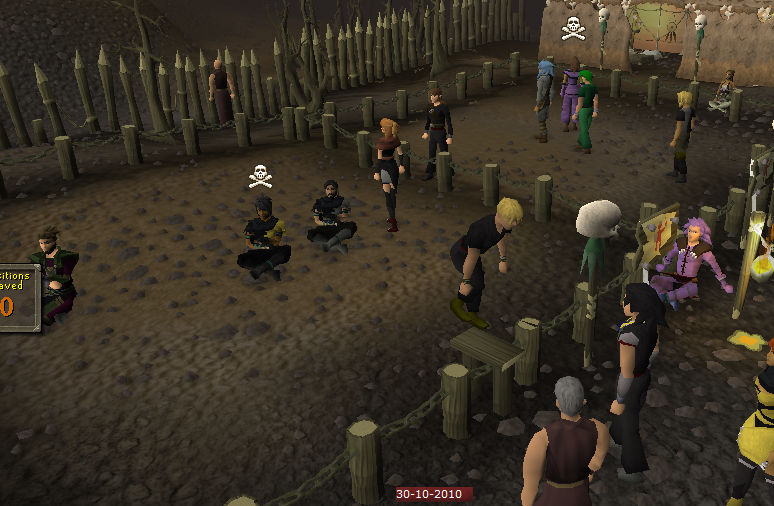 As well as the general multicombat style of fighting in Castle Wars which is found throughout Runescape, there are also specialised tactics which can be used in Castle Wars. When starting the game there are a variety of items you can use to aid your combat. These have unlimited stock, but your inventory is not unlimited, so you have to manage your space. A very common tactic in Castle Wars is to take enough bandages at the beginning of the game to fill your inventory, and then rinse and repeat when you die. At this point I should probably point out that this is a SAFE mini game, and you will re spawn in your base when you die, and you will keep all of your items. The other equipment available for pickup includes catapult ammo, explosive potions to destroy rocks underground, pickaxes to cause rock falls underground, barricades to stop people from moving in a certain direction (these can be attacked and destroyed), tinderboxes to burn barricades, flares to direct catapult attacks, ropes to climb up the battlements, and repair kits to repair the front gates of the castle. Repair kits are much neglected; I have never seen someone use one. On the top of the battlements, there are catapults which can be used by anyone, provided that they pick up some catapult ammo from the tables on the ground floor of the base. The catapults are a great way to get your own back on high levels if you are a low level, because any player can use them, and they are extremely powerful, if slightly annoying. 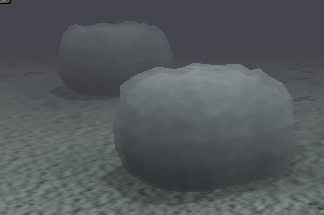 The catapult shots can fire anywhere except for the enemies base, and have a very high radius of impact. Because they can’t reach the enemies base, a usual target for shots is the island in the middle, so you should be careful when you are on the middle island. 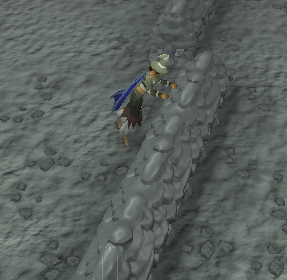 The battlements are a good place for rangers and mages to attack other players invading their base, as it offers protection from warriors, and almost all castle wars players are warriors. In Castle Wars there are 3 basic player types, those that defend their castle, those that attack the other castle, and those that run to the middle and attack other players (most players do this). As a defender, it is your job to stop all enemy players from taking the flag. The best strategy for this is to place barricades along the top floors to slow enemies. It is also very helpful to have an ancient mage to freeze enemies going for the flag. You should fill your inventory with barricades to replace those that get destroyed when you are defending. 2.If you can afford it, use a spectral spirit shield, this gives the best magic defence bonus, with a great melee defence bonus too. 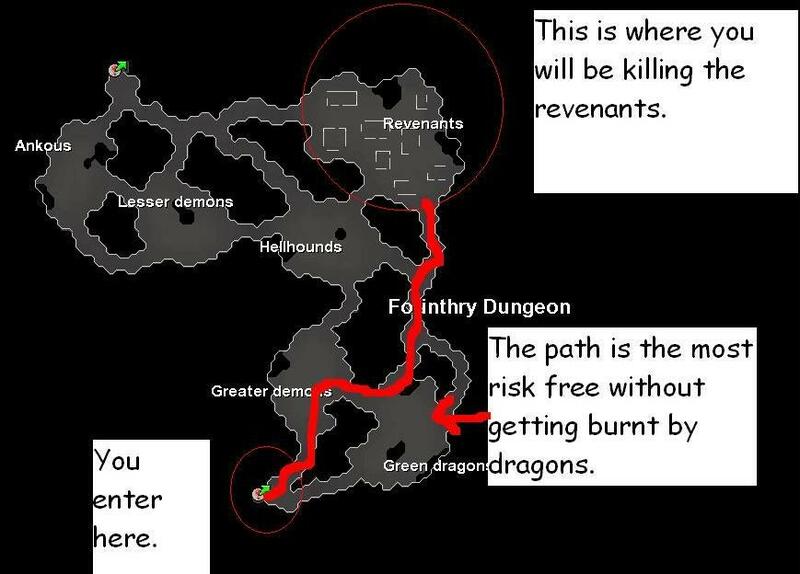 3.Invest in an amulet of fury; it gives great all round defence bonuses. I would not recommend trying to capture the flag with 70 or lower defence, such an attempt is very unlikely to bear fruit. On reaching the enemy based, a very common situation is to be faced with a large number of barricades, and to die trying to clear your path. Because of this, you should plan an assault with other players so that the damage is spread between all of the attacking players, and so that the barricades can be cleared more effectively. 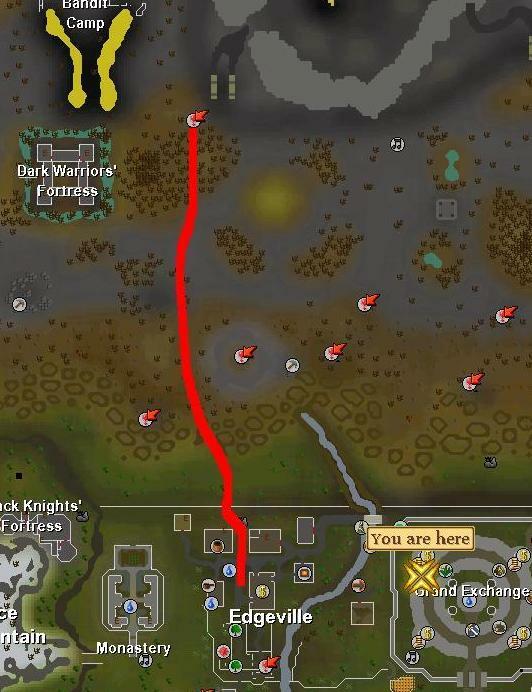 If you plan on playing as a ‘run to the middle’ player like most players (and me), then there are still tactics to apply to certain situations. 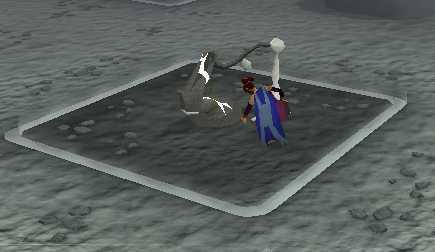 If you meet a magic user, a great way to annoy them is to use the special attack of the seercull bow, which reduces their magic level by 1/10 of the damage you hit. This is especially effective against ice barrage users, who will be unable to use ice barrage if you hit above 55, and because they are unlikely to be carrying chaos runes, they will be unable to use ice burst instead. If you want to try a more efficient way of killing, you could try to assemble all of your team players in a clan chat (or better, bring your clan! ), and give them directions. 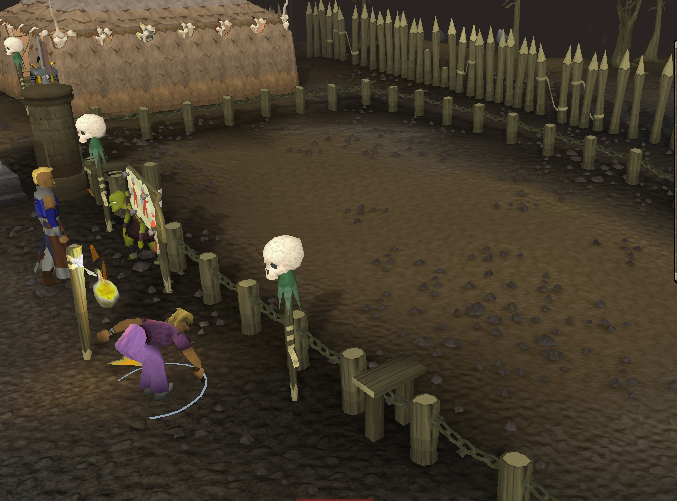 Piling enemies will see them die much faster, and result in less opponents attacking you at a time. When you see an enemy running with a flag, a useful tactic is to attack them with the dragon spear/zamorakian spear special attack to stun them for a couple of seconds. This can be very valuable when they are in high magic defence gear and they are not being frozen. Sometimes when an enemy flag runner holding your flag dies, one of your team members might manage to take the flag, and another tactic known as flag holding comes in play. If your team holds your flag, then in order for your opponents to score, they will have to kill that team member and take the flag off them. Various tactics can be utilised to ensure this doesn’t happen, if your team is in the lead, then your team should guard the flag holder, and set up barricades around them. It is beneficial for the flag holder to have use magic attacks, because when holding the flag you can only attack with the flag, which is very weak, or use magic. With enough ancient mages, barricades, and attackers, you can guarantee your team a victory by flag holding. 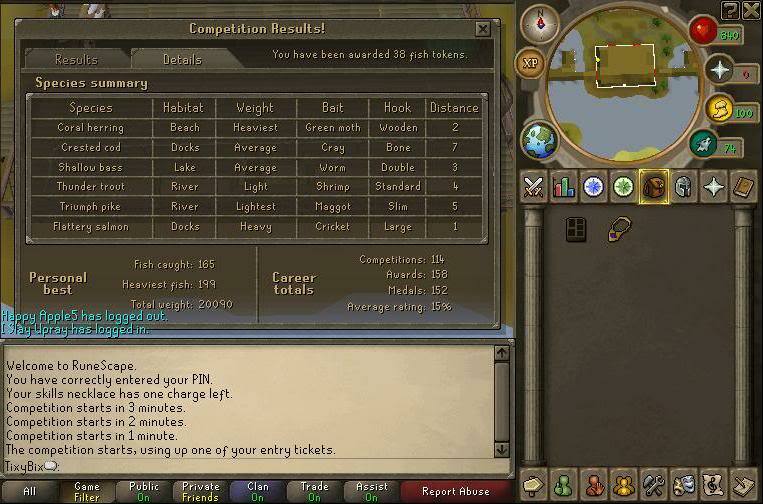 Various rewards can be bought with the use of Castle Wars tickets, which are gained by winning or drawing a game, 2 tickets for a win and 1 ticket for a draw. 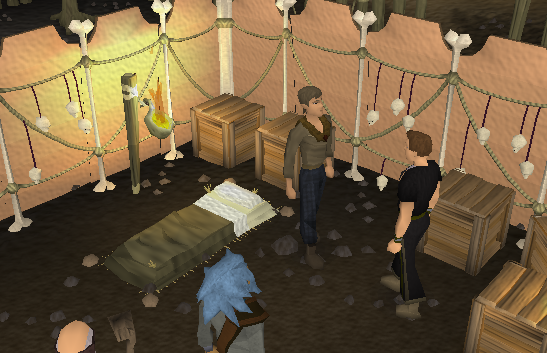 The most obvious choice is the Castle Wars armour, which can be mounted in the skills hall of a POH, or worn in Castle Wars to great effect. The lowest levelled armour gives a 10% damage boost inside Castle Wars, this increases by 5% per set, but the armour sets only have a defence bonus comparable to steel, mithril, adamant, and rune respectively. You only need to wear the body, platelegs and shield to gain the set effect. You can buy parts of a ballista with tickets, but in my experience the catapult is far more powerful than the ballista, so it’s somewhat a waste of tickets. You can buy potion sets for tickets, but these potions can only be used inside a game of Castle Wars, so they are useful if you have a low number of tickets floating around and nothing else to buy. I wouldn’t buy them unless you have serious money making problems, because much more money can be made by money making, buying potions, and then playing Castle Wars. You can also buy decorative capes and hoods to show off your Castle Wars achievements, or you can buy the new halos or faithful shield. The halos each reduce the drain rate of certain prayers. 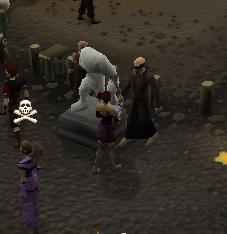 Guthix reduces the rate of attack prayers, Saradomin reduces the rate of defence prayers, and Zamorak reduces the rate of strength prayers. I personally can’t find much use for these, because they don’t work for protection prayers, and in most situations I would prefer a helmet with strength or defence bonus. I currently own the faithful shield, which gives a nice +6 prayer bonus with stats comparable to a rune kite, and looks very nice, sporting the new particle effects recently added to Runescape.